I love receiving cards in the mail! But it seems like such a waste when those beautiful cards are just piled up on a shelf somewhere. So in a moment of creative-ness when I needed to find a place for our Christmas cards this year, I grabbed some twine and looped it over the hooks on our coat rack! Tying ribbon, embroidery floss, or yarn over coat rack hooks would also work. While it may not be perfect, it is finished! And in my opinion, imperfectly finished is better than unfinished perfection. 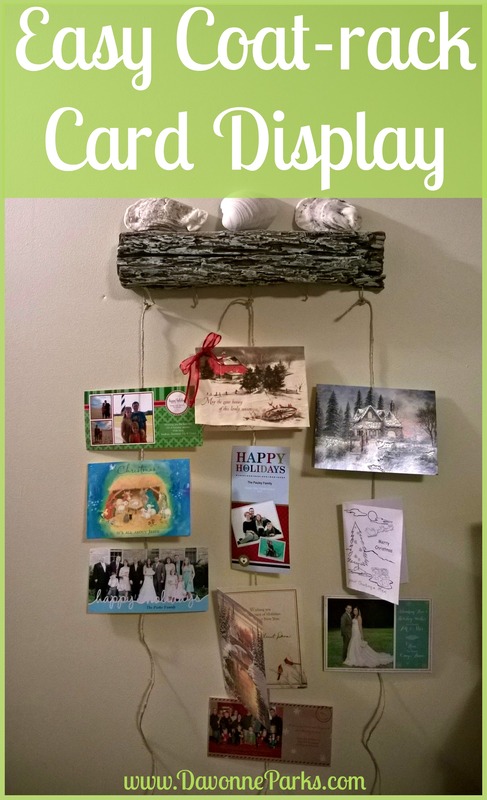 How do you display your holiday & other greeting cards?